Copyright © All rights reserved. Made by Michelle Forbes. 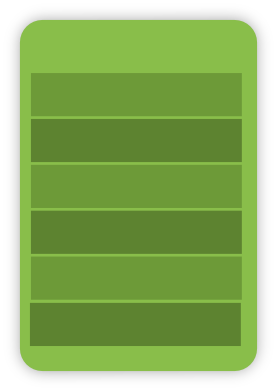 DO NOT REPRODUCE ANY MATERIAL FROM THIS WEB SITE WITHOUT PERMISSION FROM THE AUTHOR. 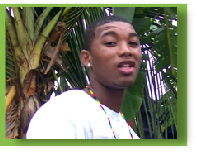 The modern Garínagu (plural of Garífuna) are descendants of Africans who emerged as a new ethnic group, fully assimilated to the Kalípona language and culture of St. Vincent Island in the Caribbean before the 19th century. 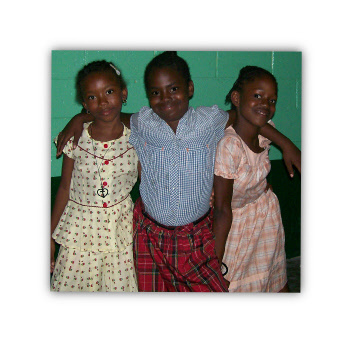 The Kalíponas were native peoples of the Lesser Antilles, and are sometimes called ‘Island Carib’ in the literature. A Garífuna may or may not have Kalípona ancestry. Some modern Garínagu in Central America may not descend directly from the original Garífuna group from St. Vincent, bur rather from other Afro-descendant groups (Blacks from Jamaica, Haiti, Puerto Rico or descendants of early Africans in Guatemala and Honduras) who were already established in the coastal region of Guatemala and Honduras before the arrival of the Garínagu at the end of the 1700s and the early 1800s. However, by means of ancestral intermingling with the Garínagu, they would have emerged as full-fledged Garínagu themselves. The Garífuna Nation is that combined area of Garífuna settlements on the Caribbean coast of Central America that includes Belize, Guatemala, Honduras and to some extent, Nicaragua. Today, Garínagu are found all over the world, including all parts of Central America and concentrations in New York, Miami and Los Angeles. This web site discusses the global linguistic and ethno-history of the Garínagu, but it is ultimately dedicated to the Garífuna settlement of Livingston, Guatemala (Labuga, Wadimalu). Though hundreds of thousands of Garífuna families have lived in Labuga for over two centuries, more dominant ethnic groups – in an effort to take advantage of Garífuna world fame and capitalize on increasing tourism in Labuga – threaten the Garífuna way of life. All pictures, links, blogs and current event information only involve the Garínagu of Labuga, Wadimalu. This web site does not promote links that demonstrate a one-sided, biased or a myopic perspective of Garífuna history. Blogs, however, are always uncensored, reflect the personal opinion of the writer and are very welcome! Unless otherwise indicated, the author of this site is the photographer of all the pictures. Blogs from Garínagu in Labuga (English, Spanish or Garífuna language) are encouraged! Garífuna girls in Labuga show off their typical dresses at an evening event. Dedicated to a comprehensive and non-biased perspective of the history of the Garífuna ethnic group. The earliest Garínagu were a pre-literate society; nothing was written down for posterity. As such, Garífuna pre-history is based on a combination of oral traditions and theoretical evidence. Some theories are controversial but the idea here is to present all sides of the story. On equal level as that of any world language, Garífuna is the fully productive and living language of the Garífuna people. The following pages provide a period-by-period description of Garífuna language, one that descends from the Arawak language family with a marked Carib and French lexical and morphological influence. 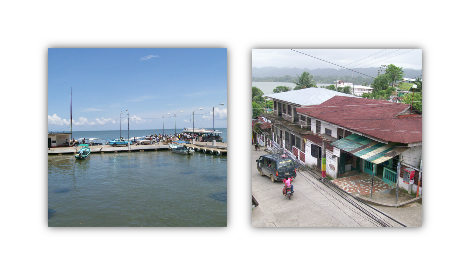 Accessible only by boat from Puerto Barrios, pictured here is Labuga's main pier and the town’s main street. Where is the African influence in Garífuna language?